Dr Lynn Chiam graduated from the National University of Singapore and subsequently received her Membership of the Royal College of Physicians (Internal Medicine) United Kingdom. She completed her specialist training in dermatology at the National Skin Centre, Singapore. She is an accredicted dermatologist and is a Fellow of the Academy of Medicine (Dermatology), Singapore. Dr Lynn Chiam received the Health Manpower Development Programme Award in 2009 for her fellowship in pediatric dermatology at the Department of Dermatology, Radboud University Nijmegen Medical Centre, The Netherlands. Dr Lynn Chiam was a Consultant Dermatologist and Head of the Pediatric Dermatology Unit in the Singapore National Skin Centre before leaving for private practice. She was a Visiting Consultant Department of Paediatrics, National University Hospital and to Kandang Kerbau Women’s and Children’s Hospital (KKWCH). She was actively involved in teaching other doctors and medical students and was a Clinical Tutor in Yong Loo Lin School of Medicine, National University of Singapore. She was also the head of the education committee at the National Skin Centre, Singapore. Dr Lynn Chiam was actively involved in setting up the Eczema Support Group with the goal of helping patients and their families cope with this skin condition. She is currently a Medical Advisor to the Eczema Support Group. 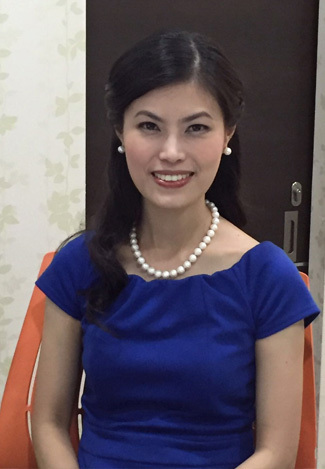 Dr Lynn Chiam has published numerous articles in international journals and has been invited as a reviewer for dermatology journals. Her work had been presented at many international medical conferences and she had been invited as a speaker in many local and regional talks.